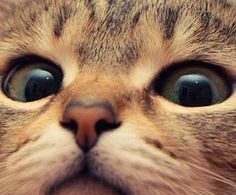 The veterinary worm treatment for cats can be more hazardous to the health of cats, than the proliferation of the worms themselves. All veterinary medications, including the worm treatments, are chemicals. ALL chemicals are toxic to life forms and lower the immune system, setting up the potential for more health problems sooner or later. Instead of turning to chemicals, as vets have been taught so well by the drug companies, it is better to look for the cause of the problem. First let’s look at the economy of healthy cats. Worms (and parasites) are perfectly natural to all complex life forms, such as cats. In the right numbers, they play a useful role in helping to maintain good health. It’s only when their populations increase that they pose a problem. So what makes the population of naturally occurring worms increase? It’s when the cat has a low immune system, when they are generally unhealthy. 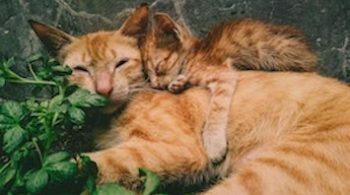 This may not be obvious initially, but sooner or later the cat will develop a health issue, one that they are unable to prevent, because their immunity is so low. So the next question you are hopefully forming in your mind is, what lowers a cats immunity? It can be a variety of factors or the combination, depending on the sensitivity of the cat – we are all individuals, as are cats. As already mentioned, the chemicals used in cat worm treatment, indeed any veterinary treatment, is toxic and will always lower the cat’s health in the short term (even when the ‘problem’ goes away). In naturally healthy cats, they may be able to shrug this off over a period of time, so that it doesn’t have a chronic effect. But unhealthy cats are not so able to do this. Repeated treatments will gradually erode the health of all cats. Healthy wild cats generally don’t have the same problem with worm proliferation as do domestic cats. (This means it is a myth about hunting cats having worms.) I believe there are three main reasons for this, possibly more. The first reason domestic cats show poorer health than their wild cousins do is the diet. Commercial cat food is great for the profit of the manufacturer and the retailer (the vets), but it is detrimental to the health of cats. It is far from the diet they evolved on and it is the number one reason why cat worming treatment is needed. 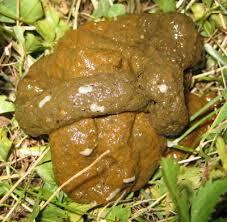 The poor quality and the incompatibility of commercial cat food to a cats digestive system makes for slow digestion. Slow digestion allows the intestinal worms to increase in number far more easily than the more natural fast digestion of the food cats evolved on. Really, in a nutshell, there you have the answer. There, in a nutshell, you have the way to avoid the need for cat worming treatment. However, an unhappy cat will also be prone to disease and so worm proliferation. A noisy household, a dysfunctional family, an aggressive family member or regular visitor will all contribute to making the highly sensitive animals such as cats, unhappy and in a regular state of stress. 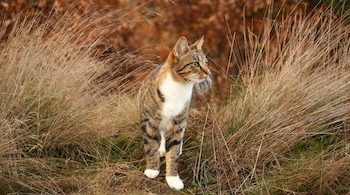 The lack of access to the healing rays of the sun, to grass and other medical herbs of choice, as well as the healing effect of the earth beneath their paws, can also be detrimental to the ongoing health of cats. The current world is very left brained, thinking that only what we can see of the physical world is all there is to life. This doesn’t make sense when you consider that life is energy. You can’t see energy, but you know it is there as you live its reality every moment. Logically, this means that any good, helpful health discipline should be energy based rather than physically based. The current, physically based health care of vets are really more about disease management than about restoring health. This fits in nicely with the drug companies desire to make as much profit as possible. Sadly vets have jumped into bed with the drug companies. Vets, and doctors, should not be affiliated with any one form of health care. They should be open to whatever helps their patient, whether or not they understand it. Real (and there are many who are phoney) holistic vets embrace this idea. 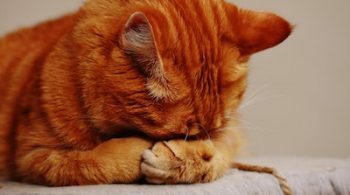 Holistic worm treatment for cats is minimal, because the causes, outlined above, will ensure the problem just doesn’t exist. Holistic treatment aims at helping the whole cat return to good health, rather than just focusing on one aspect such as the worms. Holistic health care, especially homeopathic treatment, is all about enhancing the immune system naturally. It fully supports what the body is already trying to do, rather than suppress the symptoms, which happens with the chemical treatment. Instead of trying to eliminate the effect of a problem, search for the cause. Your vet won’t, so it’s down to you or a holistic practitioner. In the case of cat worms treatment, the most common cause is the diet. Learn the best diet for a healthy cat and slash your veterinary bills. And please don’t buy into the popular idea doctors like to tell you, that cat worms will damage your health or that of your children. This won’t happen if your cat and your children are healthy. And the added unconditional affection and love of your cat is invaluable at teaching children important lessons.